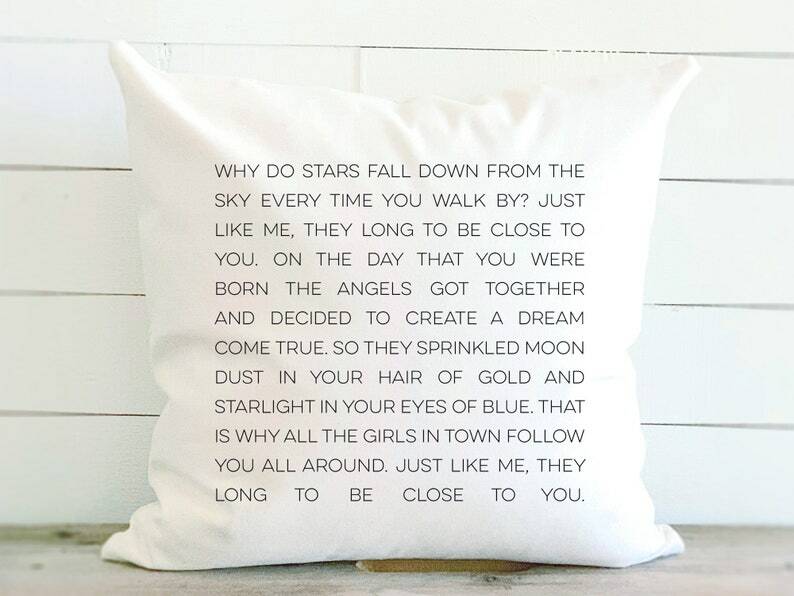 Give us your favorite song lyrics and we will print them onto our organic canvas pillows for a keepsake that will be cherished, and cuddled, for years to come. 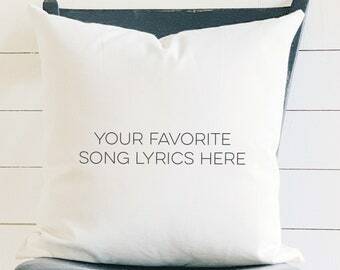 ▸▸Please leave song lyrics in the personalization section at checkout. ▸▸If there is not enough room, then please message us separately with them. ▸▸We can do section of a song, or the entire song, but please be aware that the more text there is, the smaller the font will become. 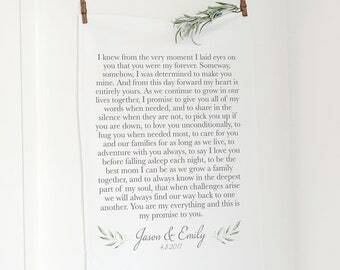 We have fit several hundred characters with legible results. ▸▸We copy and paste your text, we do not edit or make adjustments, so please double check your text and make sure all spelling, and punctuation is exactly as you would like it printed.